The ContiPremiumContact works like a cat's paw as it brakes: it widens, to ensure safe transmission of greater forces to the road. 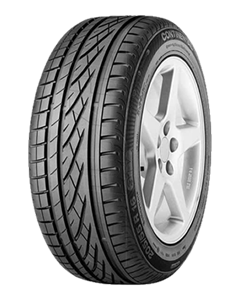 The tyre is therefore able to transmit braking forces more efficiently than a conventional tyre . Under normal driving conditions the tyre remains slim to provide protection against aquaplaning. Advanced safety and performance for luxury and mid-range cars. Sorry, we currently do not have any tyres with the ContiPremiumContact pattern in stock.